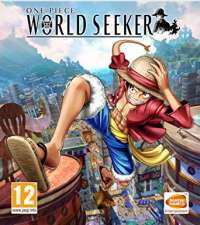 This action-adventure game is based on the manga and anime One Piece set in a large open world. You can explore it freely, discovering numerous quests, both main and secondary. The setting blends elements of classic pirate stories and the fantasy genre. You play as the manga's protagonist, a pirate named Monkey D. Luffy. Having eaten a magical Devil Fruit, his body became rubber-like, allowing him to stretch it in extraordinary ways. During the game, you explore an open world, complete quests, fight enemies, and complete platform and stealth challenges. The game utilizes a third-person perspective. The exploration is made easier by Luffy's abilities; he can e.g. stretch his arm to grab an object a dozen meters away and drag himself to it. There's also combat, in which Luffy's skill again come in handy, giving you an opportunity to use various techniques and attacks known from the manga. You can also try completing many platform challenges and stealth sequences, in which you need to avoid being detected.